Living the dream back in 2010. How to backpack your way to Antarctica! Backpacking your way to Antarctica?? Are you serious? Yes! Antarctica is without doubt the most amazing place I have travelled to, to date. It really is like another world and anyone who has been there will agree with me. It’s a white continent of superlatives, it’s magical! But can you do it on a backpacker budget? Yes, of course! I did 😉 How to backpack your way to Antarctica! I visited Antarctica in November 2010 after years of planning, researching and dreaming. I often spent days gazing at photos of Antarctica and which Antarctica trip would suit me best. I’m a budget traveller. I’m a ‘backpacker’. I change jobs constantly. I move around a lot. I’m a nomad. I live a lifestyle of travel. I’ve never owned a bed, or a wardrobe. But you’ve heard Antarctica is expensive to visit, right? So how on earth did a globetrotting backpacker like myself afford to go to Antarctica for a two week trip. I’ll tell you how I afforded Antarctica in just one word: Broccoli. Yes, I worked as a broccoli farmer for 4 months in Tasmania in the Spring of 2010. Nice story, but that doesn’t explain how you ended up in Antarctica!! 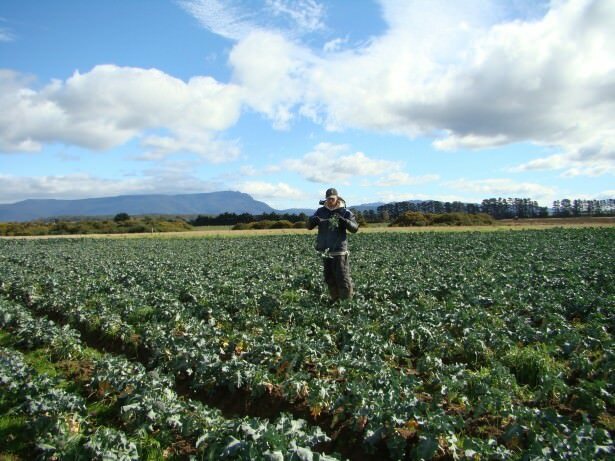 OK so when I arrived in Tasmania I had already saved up a bit of money from my previous job in the pub in Parramatta, then after a few weeks of broccoli harvesting, I was offered an upgraded job on broccoli. It was guaranteed money, guaranteed 7 days a week of working, guaranteed pay rise (I went from $18 AU per hour to $19 AU per hour – that would be an EXTRA $70 a week) and I would be living cheaply out in the complete wilderness. Well that, it was. I bought a car for $1,500 AU dollars, I bought a tent for $15 AU dollars and I headed for the mountain village of Poatina. That was March 2010. One of my pay slips from my time on the broccoli farms! 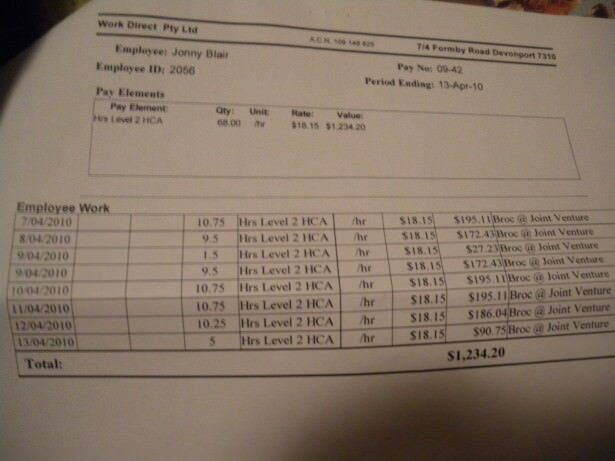 As you can see I was earning well over $1,200 AU Dollars a week and working 7 day weeks while living in the wilderness. BUT hey I went to Antarctica! 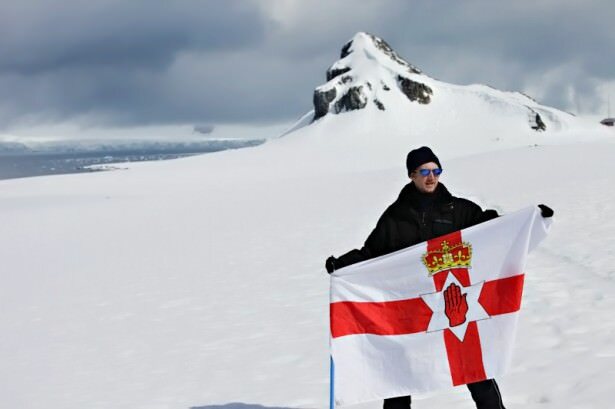 Living my travel dreams and flying my Northern Ireland flag in Antarctica in 2010! When broccoli season finished it was a bit of a release as I cut my last piece of broccoli at Walabadah farm near Cressy in central Tasmania, we had a party in the darkness on the farm. 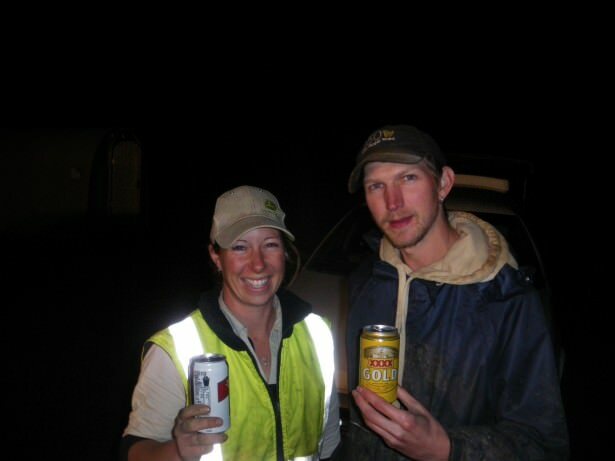 The farmer brought in pizzas and beer and as I sipped a cold one in the wilderness I smirked to myself as a few months later I would step on the Antarctic continent. This was no travel dream of mine – this was a mere reality. 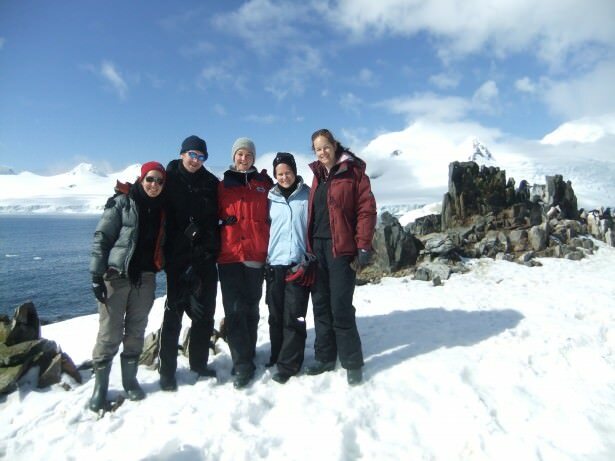 Me and some of my Antarctica travel buddies on Half Moon Island! So I did a couple more months working on cauliflower harvesting, weeding, pyrethrum planting and echinacea harvesting before a road trip back to Parramatta where I worked in the local Irish pub up until my flight out of Sydney, Australia. I’ve cut this story short of course, but in a nutshell, it just proves how EASY it is to travel on a low budget. Work hard, save hard and make your dreams a reality. Of course in hindsight I found an even better and cheaper way to do Antarctica, but alas, that’s a story for another time. For the meantime I just wanted to share this one with you! 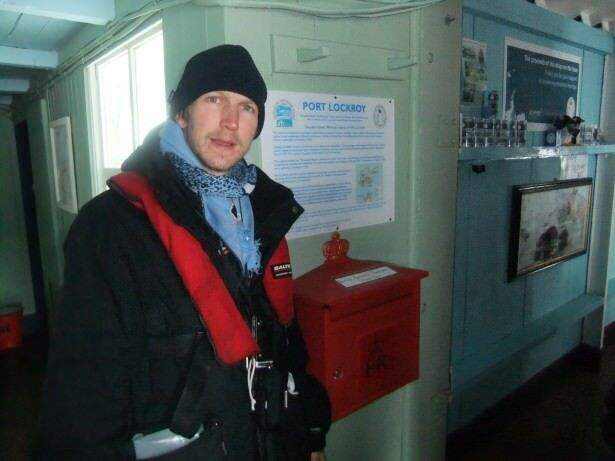 I visited the British Base of Port Lockroy in Antarctica – something the Queen hasn’t done! I posted postcards from the world’s southernmost post box! The nomadic Northern Irishman. The normal guy living a normal life, who backpacked his way to Antarctica, via a broccoli field, well sort of. Thanks eternally to Rebecca Gaby and Hayley Becker for the constant workload in the magic of Tasmania. Without the pair of you I probably wouldn’t have this story to tell. And my fellow staff in Tasmania for keeping us all entertained in what was probably the most mundane 4-5 months of my life so far. It was worth it and I did Antarctica! Jonny Blair – the travelling Northern Irishman. Don’t Stop Living – a lifestyle of travel! How to backpack your way to Antarctica is just another story in Jonny’s endless travel journey! Read about Neko Harbour, Cuverville and Elephant Island. 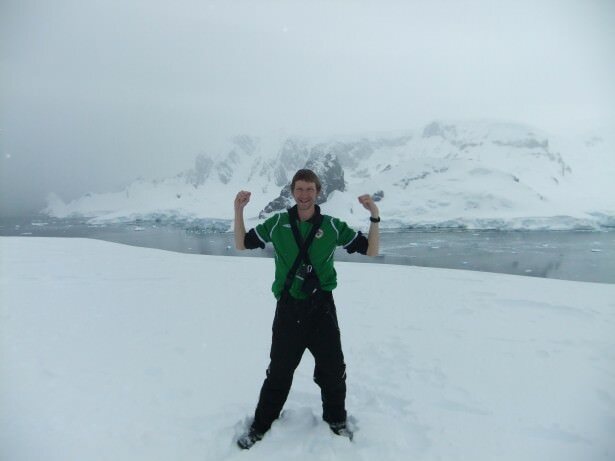 This entry was posted in Antarctica, Antarctica Travel Tips, Broccoli, Destinations, Farming, Jonny Blair, Tasmania and tagged Antarctic, Antarctica, Buenos Aires, Cuverville Island, Flag of Northern Ireland, Polar Regions, Tasmania, Ushuaia. Bookmark the permalink. 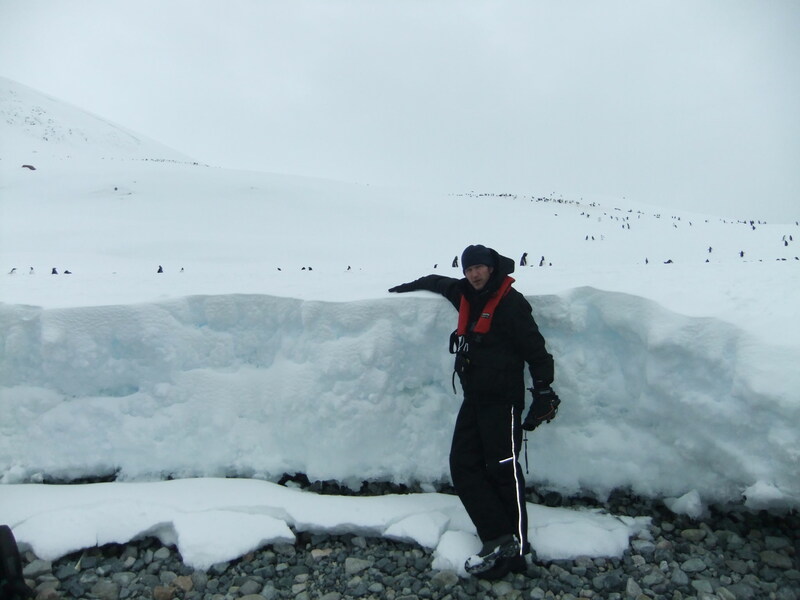 Pingback: Backpacking in Antarctica: My Top 5 Moments! Pingback: My Bournemouth Story: Why I left in 2009 and Why it took me until 2014 to return.